At times, the journey into a destination is like a personal story of an individual. Indeed, understanding the historical city of Jhansi is incomplete without the knowing Queen Laxmi Bai. For years, the fearless struggle of Queen Laxmi Bai of Jhansi against the British rule has been dramatically narrated through stories, legends and poetry. Every generation employed a different way of understanding this ‘Joan-of-Arc’ of India and subsequently, Jhansi itself. The famous Hindi poet Shubhadra Kumari Chauhan wrote an indelible poem about the Queen, which still arouses patriotic fervour in the every Indian. 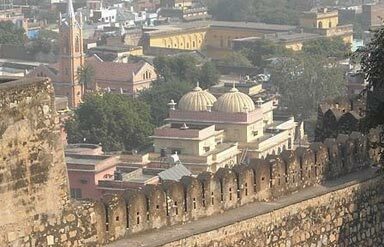 Travel to Jhansi to learn about the history of Uttar Pradesh through forts, museums and architectural marvels. One such striking example is definitely the Jhansi Fort, constructed in 17th century by Raja Bir Singh. 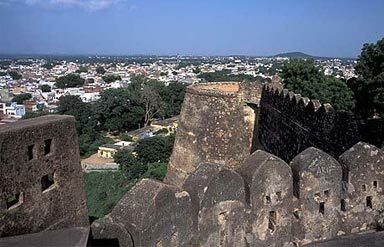 The entire walled city of Jhansi had initially evolved, layer after layer, around this stone-fort perched on Bangara hill. Engaging qawwalis, shayaris, poetry, rai and suata dance forms along with traditional Alha songs add meaning to Jhansi’s culture. Its ethnic cuisine includes traditional dishes like maande, avariya and hingora. The nostalgic remnants dating back to famous Indian revolt of 1857 reveal why Jhansi is still called the ‘land of brave-heart rulers’. History of Jhansi reveals that it was the capital of Maratha province in the 18th century. 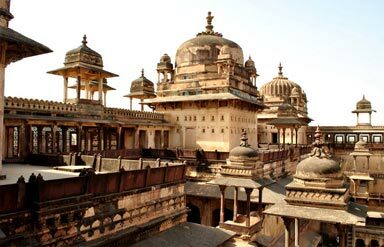 Located in the south-western part of Jhansi, it was constructed by Raja Vir Singh Deo, ruler of Orchha in Madhya Pradesh in 1613. The audacious battle against the British imperial rule, especially during the 1857 revolt was witnessed in the vicinity of this fort, led by Queen Laxmi Bai. Ten entrances lead into the fort, each with their own speciality. The temples of Lord Shiva and Lord Ganesha are quite spectacular in their appeal. Eminent artists are invited during the time of Jhansi Mahotsav, an art and craft festival organised during the months of February and March. Located within the premises of Jhansi Fort, this museum reflects the bygone beauty and power of the Chandela dynasty, the clan of royal Hindu Rajputs. Different weapons, portraits and attires dating back to this 10th – 13th century are preserved. A different picture gallery dating to the Gupta Dynasty is located within the museum. Bronze statues, paintings, manuscripts and coins are retained. You can even spot the weapons and artillery dating back to the time of Queen Laxmi Bai. Now converted into an artistically designed museum, it initially used to be the abode of Queen Laxmi Bai. Its stunning architecture is decorated with arched chambers and open courtyards. It was constructed by Raghunath II Newalkar during 18th century. Elegant and colourfully carved out paintings are embellished over the wall. The ceiling of the Durbar Hall in the second floor is elaborately designed. Even this palace was one of the important nodal points for the revolt of 1857. King Gangadhar Rao was the husband of Queen Laxmi Bai during the 19th century. The queen had built this chhatri or cenotaph in order to commemorate her husband. It has been constructed in a unique Hindu Maratha style of architecture. There are two domes in the structure with intricate carvings and exquisite designs. They are called as the chhatris and can be approached through a flight of steps. Beautiful motifs, floral designs and geometric patterns adorn the pillar upon which the chattris are placed. The temple is devoted to Goddess Mahalakshmi and is a famous Hindu temple in the Uttar Pradesh. It is flooded with devotees especially during Diwali festival held in October- November. It was erected in 18th century. It was built by Subedar Vishwas Rao Laxman of Jhansi. Parichha (22km), Barua Sagar(24km), Samthar(69km), Tondi Fatehpur(85km) and Shivpuri(98km) are some of the nearby sites to explore in the Jhansi Travel Guide. Royal paintings, colourful glass bangles and brasswares are some of the famous items to purchase during your Jhansi Trip. Sadar Bazar, Sipri Bazar, Manik Chowk, Nagra and Tibetan Refugee Market are the popular shopping destinations in Jhansi. Avoid travelling to Jhansi during summers as they can be really hot. October-March is a great season to plan the trip. Jhansi Festival (February- March) is also a sought after time to explore the destination. Air: Nearest Airport is in Gwalior, about 97km away from the city. Rail: Regular trains connect Jhansi Junction to other parts of the country. Road: Broad and commutable roads connect the destination to cities like Agra, Lucknow, Delhi, Kanpur and Gorakhpur. So, history is fascinating and at times very moving. 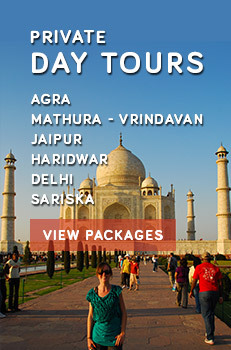 Go ahead and book for Jhansi Tour Package to turn the pages of rich and brave history of India.